I’m a sales guy. Actually, I’m more of an “accidental” sales guy that prefers a technical conversation perhaps more often than I should. And while I have a genuine interest in things like attribution modeling and what really is the art of creating digital audience segments, this post won’t get into that. Google Analytics? Nope. Google AdWords? Sorry. The top 4 ways Mr. 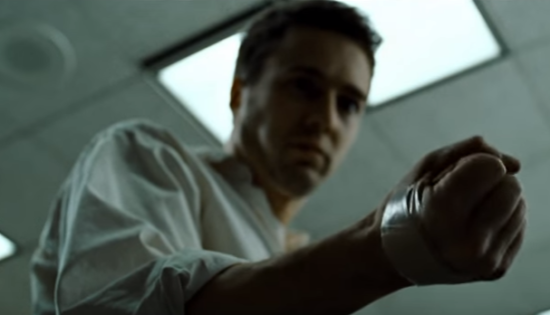 Robot rips off Fight Club, don’t get me started, and don’t expect it here. Alas, as most people who follow our blog know, there are more qualified people at LunaMetrics to talk about those things. Instead, I’ll be talking about… wait for it… money. And how to get it. I know, how cliché for a sales guy – even an accidental one. I sort of want to punch me in the face right now, too. But I’m glad you’re still reading. So, my inbox and to-do list tells me it must be budget planning season. Lots of inbound requests. RFPs. RFQs. People returning from vacations. People planning. And people getting ready to ask their boss for money. Chances are you’re one of these people, or at least have some skin in the game when it comes to purchasing decisions. Perhaps you’re evaluating a new platform. Or perhaps you’re considering consulting services. Maybe both. To be very up front, my intent is not to give you the hard sell on our particular offerings, honestly. But if you are that person who is in such a position – a purchaser, or an influencer of purchases – I have you in mind when writing this. Simply, I want to help you get that budget approval. I have a few tips from the other side of the fence. Things I’ve learned by looking back on hundreds of sales opportunities, ones where they reveal things that work, and things that don’t. Tactics that get budget approval, and pitfalls to avoid. So, I thought I’d share. Or, put in a less nerdy way: it’s not all about you. Forgive my therapist angle here, but the fact that certain decisions and choices can have an effect on others shouldn’t come as a surprise to anyone. The term positive externalities takes me back to Econ 101 – something describing how bee keepers end up helping their neighboring orchard owners. It really is just a term to explain how a third party benefits as a result of some independent action or transaction. So, while you’re having budget request conversations, does it make sense to highlight the benefits that others will enjoy? Of course, and on the surface that point sounds overly simple. The trick and advice is this: think about everyone. It’s not always the executives, VPs, or Directors. Managers and lower level analysts can have an impact and strong influence. Think creatively on how to identify them, and get their perspective. Maybe it’s accounting or HR. A group you rarely work with. But don’t ignore their potential to be positively affected by your decision. Other partners and agencies to be specific. In my experience, an outside agency has more than once had a positive effect in influencing major purchase decisions by providing critical points-of-view and recommendations. It could be in your interest to include them and highlight just how their role or responsibilities could benefit and might overlap with bringing on a new partner. At some point in time, my mother told me that people look kindly on those who look out for others, not just themselves. In the context of gaining budget approval, if you can show the potential ways other groups and departments might also benefit, this might resonate with your boss and speak to some of his or her proper responsibilities. You might make them look good, and you may get the pocket book to open up. Caution: This might also open up the conversation to the concept of “shared-budgets” or, as the kids used to say, “halfsies.” Getting departments to split or share the cost of something may complicate things. Alternatively, it could be exactly what is necessary to get things approved. Just be cautious. Are people pumped? Are they excited? Are they not only aware of the positive effect that this purchase decision can have on them, but do they also feel the power or authority to do their job more effectively? Then it’s in your interest to trump this up, and make sure the money holder knows. On more than one occasion I’ve been told by an eventual client that what aided in their boss’s approval was the genuine excitement felt in the team – “they’re going to do their job better, and they know it.” This is empowerment. Again, on the surface this initial perspective isn’t so surprising. Through the services or capabilities of the thing, you are about to buy, find a way to have it fix something now that can help your colleague or teammate. It could be small. We do this on what we call mini-audits (a quick diagnostic of problems and issues) as part of the proposal process. Find out ways to do this. What the …?! Really?! Yes, and remember, this is about trying to include other people, who aren’t normally evaluators or influencers and give them the opportunity to establish a positive voice. I’ve seen positive results when the person I’m directly dealing with tells me they want to include other people to get their opinion (and ultimately influence). In either a direct or indirect way, this establishes empowerment. Maybe this could take the form of a functional deep dive or a deeper evaluation of certain capabilities and offerings. So you’re planning to partner with a company for services or buy their product. Or at least you’d like to position things internally to do so. Of course, you’ve done your homework and discussed the company profile and background, etc. But have you done enough? I’m surprised at how often I’ve encountered situations where roadblocks or pushback is met, after which I find out something more should have been highlighted. A capability overlooked. A defining characteristic not adequately showcased. I can sympathize with both salespeople and buyers in this situation as it’s easy to only think about the immediate set of short-term problems and requirements, but not the bigger picture that executive budget holders often need. This is usually one of the main things requested in an RFP, but if you’re a little less formal, you may have forgotten to ask. It’s never a bad idea to connect with clients and references and hear directly how they have benefited from a similar service or product. If that’s not possible, maybe other statistics are suitable to help reinforce an understanding of experience and expertise – for example, the company partners with 15 Fortune 1000 companies. Often the next best thing to client references. Case studies are not just a name, but an actual example of success including the context around approach and results. You’ll probably even find some on the company website, and it’s also worth asking for more so the best and most relevant case studies are provided. What other cool and relevant things does this company do? Where do their thought leaders contribute and invest their time? Speaking events? Unique partnerships? Certifications? Writing a book? Open-source contributions? The answers could be what helps underscore value and influence the decision making that you want to have happen. Can you find a way to eliminate waste? A budget or spend that has zero or negative results. A burdensome process that is no longer necessary. Can we consolidate tools that you’re paying for? Can we make your process more efficient and free up resources, or create trust in your data so you can make the necessary business decisions? Compared to things like leads or sales, savings can be an overlooked variable in the ROI equation, but one that usually has the most immediate impact. On a more literal level, we once had a prospect that was unknowingly spending $800 a month on advertising clicks for a certain television product. They sell business technology services. Not TVs. Starting day 1, we could say this prospect would have an extra $800 in their pocket each month. They are now a client, as aided through our discovery of some immediate savings. Too many times I’ve seen people mistakenly use ROI as some big bold predictor of future revenue. Someone trying to rationalize how they could maybe expect 50 extra leads, and close 10%, and the average order value would be… blah, blah, blah. But they didn’t think about the competition. They didn’t think about turnover in their call center. They didn’t think about the quality of a lead compared to the quantity. The scope was too broad, timeline too short, operational conditions not considered – it was a shallow attempt to predict ROI. Really, ROI is something better analyzed (looking backward), less predicted (looking forward). If this was actually presented, I would fear an executive seeing right through it, ultimately having a negative effect on the budget approval process. Don’t force ROI, and be aware of prediction pitfalls. 57% increase in conversion rate. 75% increase in registrations. 93.74% increase in organic search traffic. These are some examples of results from our own clients as highlighted in a few case studies. They are hard, tangible metrics, but none that we specified or predicted at the beginning of the engagement. They represent the potential, the opportunity, the “what can be done.” And that’s as an appropriate expectation to set for any responsible company. I don’t imagine anything I’ve written here is new or earth-shattering to anyone. And I certainly get that there are many subtle complexities to each and everyone’s procurement and budget approval processes. But if you are in that buying situation, and maybe up against a potential approval roadblock, it certainly doesn’t hurt to be reminded of some of these techniques and tips.